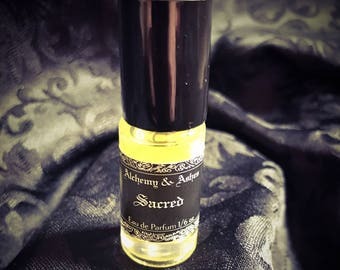 ANCIENT ALCHEMY is a unisex Frankincense, Vanilla and Cedarwood essential oil blend/perfume oil, making it a perfect gift for him or for her. 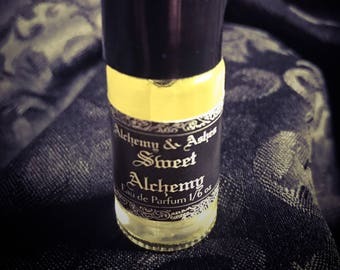 The scent of the alchemist’s laboratory - resins being distilled in copper alembics, wood being ground to powder, and precious vanilla scraped from the pod. 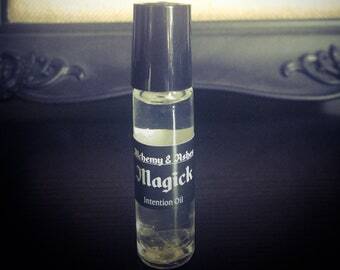 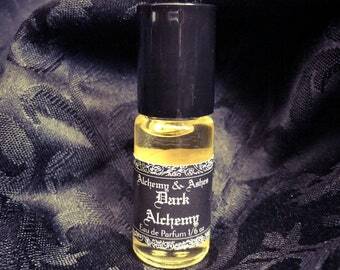 Ancient Alchemy oil based perfume is suitable for men and women, and pairs perfectly with our Ancient Alchemy Soap. 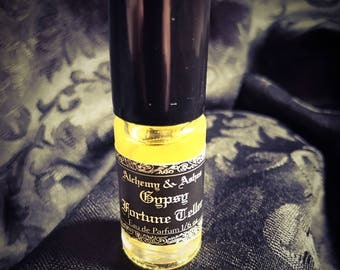 This listing is for one (1) bottle of ANCIENT ALCHEMY perfume. 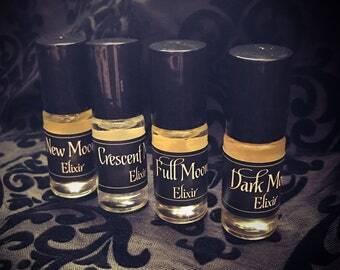 Each parfum is housed in a 5ml Glass Bottle with a Metal Roller-Ball, and will come packaged in a matte black pillow box with an informational insert, and tied with a satin ribbon. 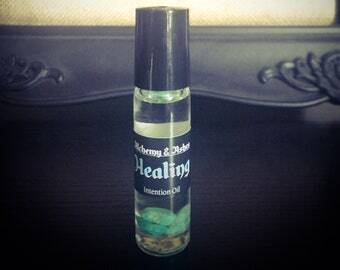 ☛ ADD on a bar of ANCIENT ALCHEMY soap and SAVE!!! 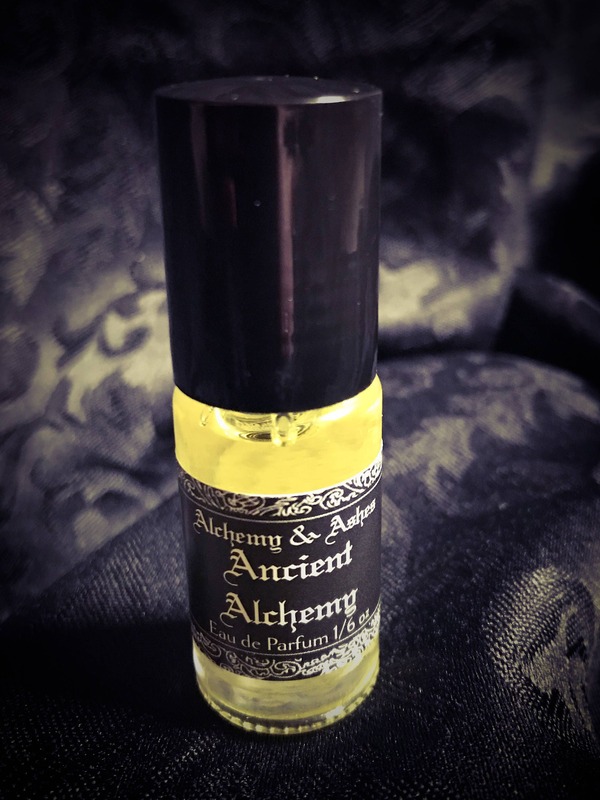 Use the drop down option on the listing to add a full size (5.5 oz) bar of ANCIENT ALCHEMY soap for just $3 more! 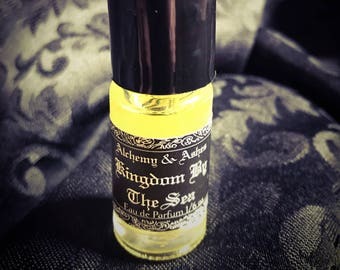 (Retail price of our soap is $7). 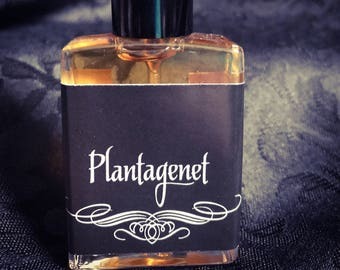 Woooohooo! 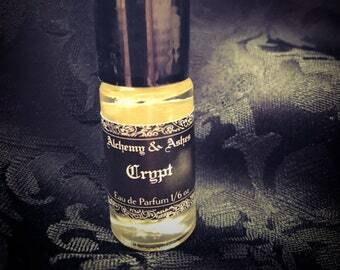 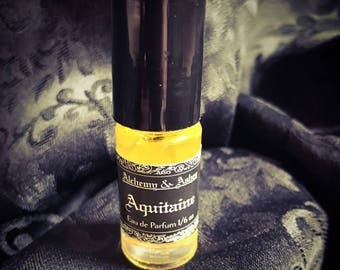 The Madame formulates each Eau de Parfum with a concentrated blend of Essential Oils, Absolutes, Aroma Isolates, Perfumery Accords and Essences, and then hand-blends the potent elixirs with her proprietary blend of Coconut and Jojoba Oils.